Multiple Grammy and CMA Award winner Bob Carpenter has almost never met a genre of music he didn't enjoy playing. From his R&B and Rock roots in Philadelphia, through his ten year stay in the Country and Bluegrass music world of Colorado, to his current work in Los Angeles, he has written for, produced, sung and played on over 50 record albums with a wide range of musicians whose styles include everything from Rock to Smooth Jazz to Folk Music. As a long time member of the Nitty Gritty Dirt Band, he has toured the world and earned 15 Gold and Platinum Records. His studio credits include vocal and keyboard sessions with Johnny Cash, Bruce Hornsby, Willie Nelson, Roger McGuinn, Allison Krauss, Vince Gill, John Hiatt, Chet Atkins, Earl Scruggs and Steve Vai to name just a few. 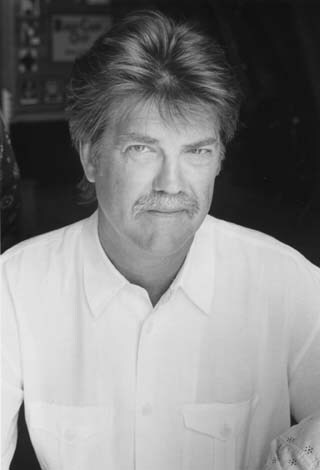 Bob's songs have received numerous ASCAP writing awards, been recorded by artists as diverse as John Denver, Three Dog Night and Kenny Rogers and garnered top ten spots on both the Pop and Country Charts. His new release "The Sun, The Moon and The Stars" is his first CD of totally acoustic piano and vocal compositions. With a guest appearance by executive producer Steve Vai, the album is a departure from any of Bob's previous work. The piano and vocals were recorded spontaneously in their entirety in two, two-hour sessions. This introspective musical odyssey is intended to transport the listener from the living room, next to the Steinway, to far away places of fantasy and reflection. Born and raised in Philadelphia, PA, Bob survived his first accordion lesson at the age of four but didn’t continue his musical education until he joined his high school choir, which won the national championship in his senior year. He started his first garage band, “The Soular System”, while in college studying Civil Engineering at Drexel University as a way to get into the mixers and frat parties. A year after college, Bob quit his day job as a highway designer for a firm building I-95 and starting playing the South Jersey summer circuit with his new band “Fat Rabbit” at the infamous “Dunes ‘til Dawn” and “Tony Marts” (early haunt of the Levon and the Hawks-soon to be renamed The Band). Relocating to Los Angeles in 1970, he joined the band “SIX” and had the unique experience of touring for the next year with the band’s producer Sly, and his Family Stone. Highlights of the touring with Sly included a riot at Cobo Arena in Detroit, run-ins with various police in Texas and a nodding out experience on stage in front of 20,000 people at Madison Square Garden by one of the more “relaxed” band members. The San Fernando Valley earthquake of ’71, a break in at his house and three band mates and their girlfriends sleeping on his floor was the obvious signal for Bob to leave L.A. for Colorado. After working on a farm for six months in Paonia Colorado, Bob decided against sewing deerskin clothing and making babies during the long hard winter. Instead he moved over to Aspen to continue playing music. His gigs there included a short stint on the road with The Drifters in Las Vegas, a year playing with local rock heroes “Black Pearl” and finally two studio albums on RCA and Columbia Records with his band “Starwood” in 1975-76. Starwood’s manager was Bill McEuen who also managed The Nitty Gritty Dirt Band, new residents of Aspen. They had also relocated from Long Beach California after the ’71 quake. At his urging, Bob started to record and tour occasionally with the Dirts in 1975. After Starwood’s demise in 1977, Bob toured and recorded one album with the L.A. band “Player” then joined the Dirt Band full time in 1980. His contributions on Dirt recordings include co-writing chart hits “Make A Little Magic”, “Fire In The Sky”, “Baby’s Got A Hold On Me” and singing the number one song “Stand A Little Rain”. Bob currently lives in Los Angeles where he does session work, writes, plays bad golf, enjoys his family and travels to the airport at five in the morning to go on tour with the Nitty Gritty Dirt Band.